The Wits Student Representative Council (SRC) rejected amendments made to their constitution by the Dean of Student Affairs, Puleng Lenkabula. The changes were announced on Monday, April 9, 2018. Former deputy secretary general, Kaamil Alli, said that the 2016/17 SRC had informal discussions with the vice-chancellor about academic requirements for SRC members “to inspire confidence in the student population to succeed academically.” He added that there were also discussions to increase the postgraduate representation to be in line with the university’s 2022 vision. 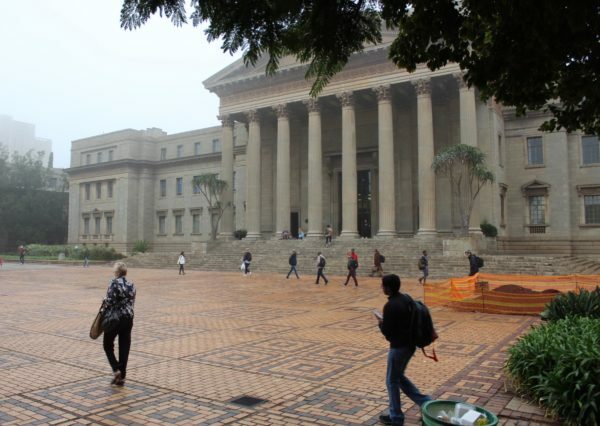 Wits aim to move to a postgraduate student body that is 50% of the total enrolment by 2022, which is in line with supporting the national goal of expanding the number of PhD’s produced annually. “However, to my knowledge and the last time we had these conversations, no formal agreements were made,” Alli said. Although the changes do not affect the current SRC, they are contesting these amendments. “The amendments are part of Wits management’s bigger plan to stifle student activism in the guise of academic excellence. Wits students are now subjected to elect students who they feel can lead them better through lenses of academic excellence,” Mtotywa said. Another amendment to the constitution includes an increase in the number of members of the SRC body from 19 to 22 representatives. Mashini said that the reason for this was to include more divisions in the representation of the student body. The aim of this was to involve international students and students with disabilities to participate in formal representation by having permanent seats in the SRC. Other changes and additions to the constitution include: Dean of Students has the power to appoint the next runner-up candidate in the event of a vacancy arising before April 15 in any year; elections will now only take place via an online voting system following the success of last year’s pilot, and the number of general representatives elected was decreased from 15 to 10. All university students were emailed the amended constitution on Tuesday.